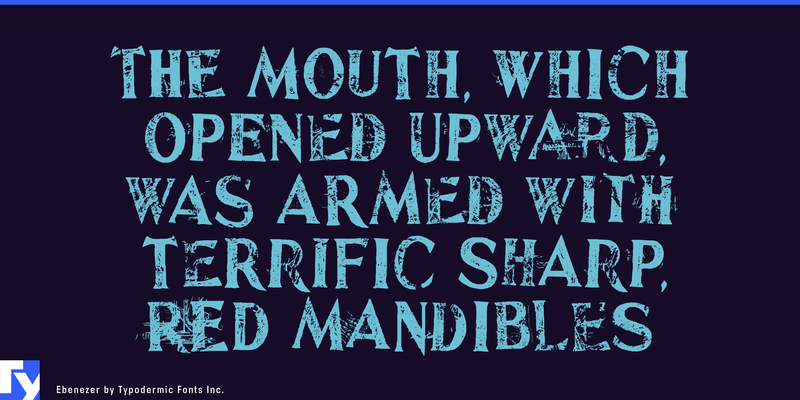 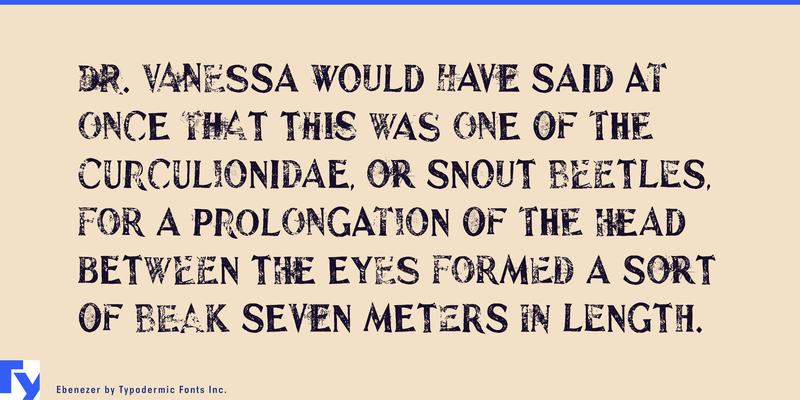 Ebenezer is an eerie, detailed font available in OpenType format. 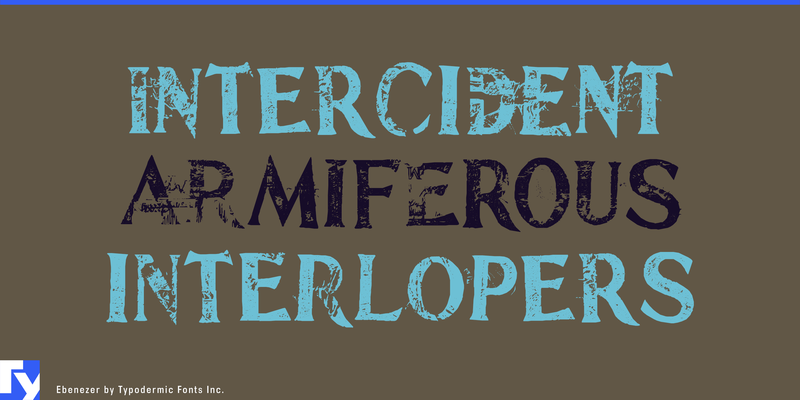 In OpenType savvy applications, custom ligatures are automatically substituted to help prevent obviously repeating letters. 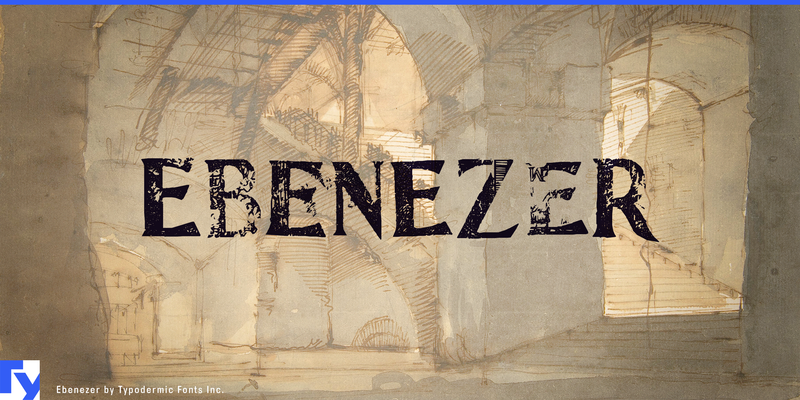 Ebenezer´s letterforms are based on Goldburg.